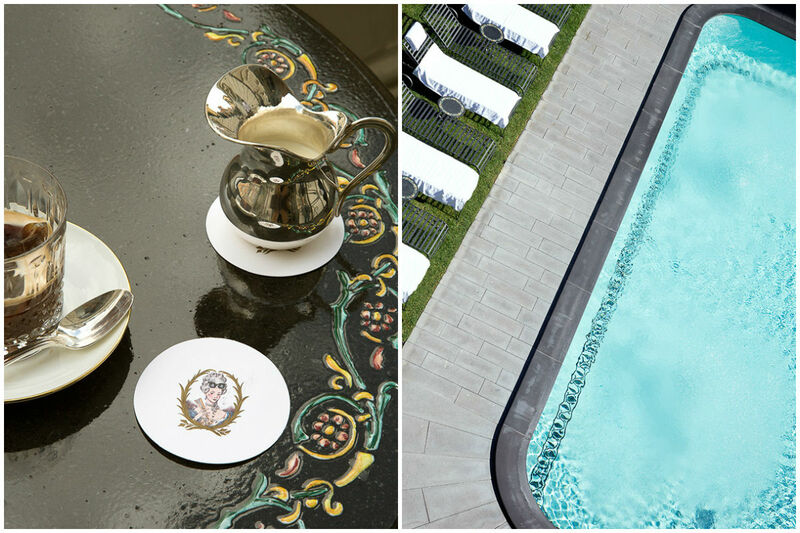 Eat a trendy breakfast, see the sights, and end the day lounging at the pool at Palazzo Dama. All photos by Oberto Gili. Rome can be a total onslaught of beauty and chaos. 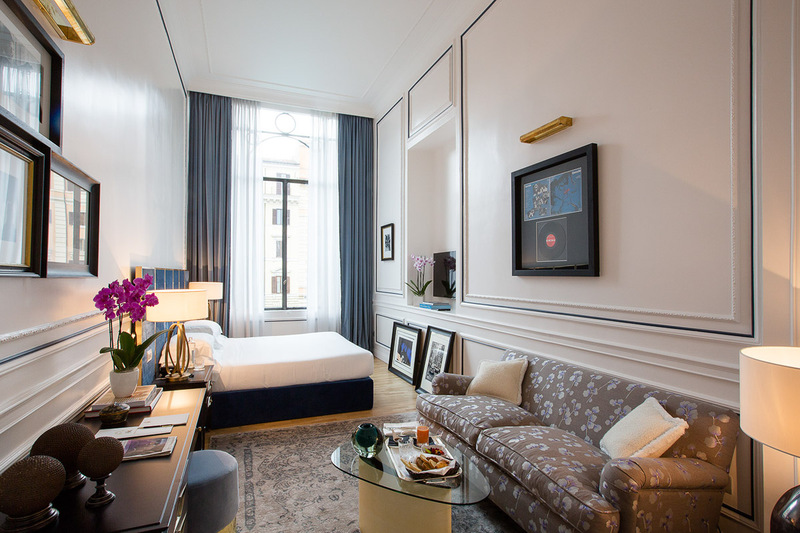 Fathom contributor Christina Ohly finds peace in the middle of it all at a design-driven hotel near Piazza del Popolo. 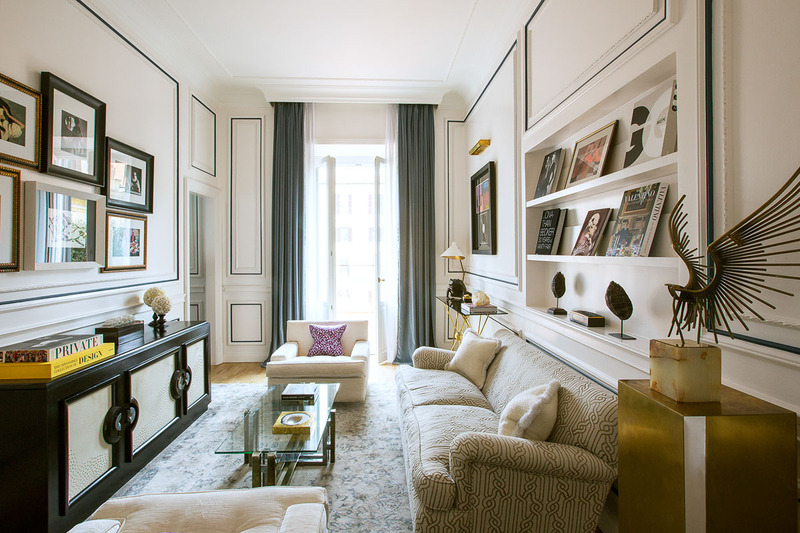 Set in a stunning 19th-century villa in the heart of Rome, Palazzo Dama is the newest (and possibly best) addition to the city's chic, boutique hotel scene. 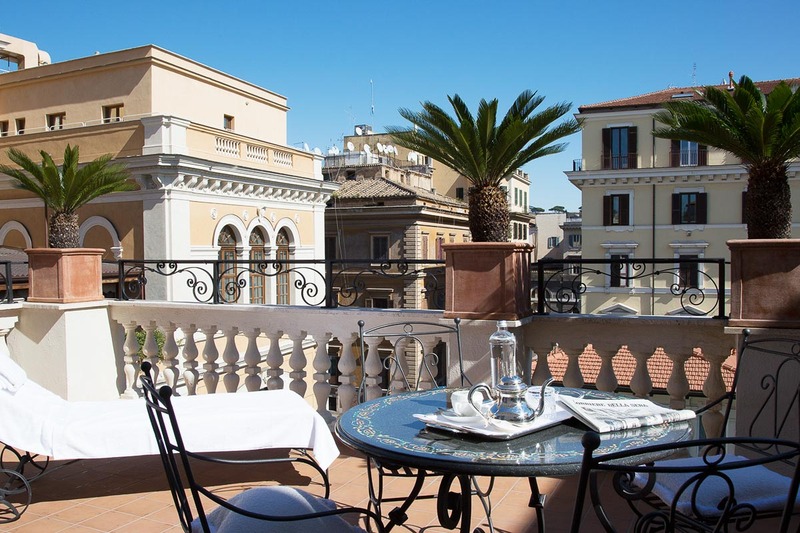 Located just steps from the bustling Piazza del Popolo, and in striking distance of the Tiber River, Spanish Steps, and gardens of Villa Borghese, the 30 rooms and suites are soothing, zen oases in the middle of the city. Designy touches courtesy of architect Antonio Girardi abound. In addition to beautifully appointed, light-filled spaces — many featuring crystal chandeliers mixed with mid-century sofas, crisp white linens, and state-of-the-art bathrooms — there is also a lovely back garden with a refreshing swimming pool. 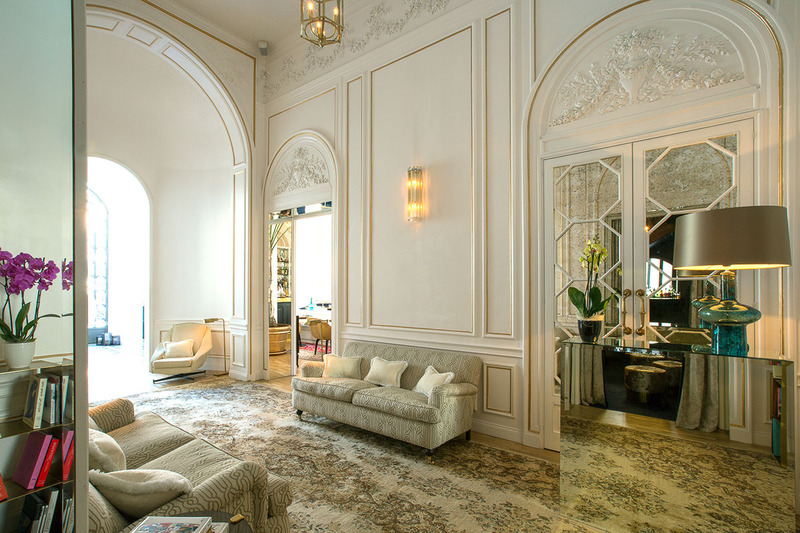 This extremely rare feature puts Palazzo Dama in a different league. 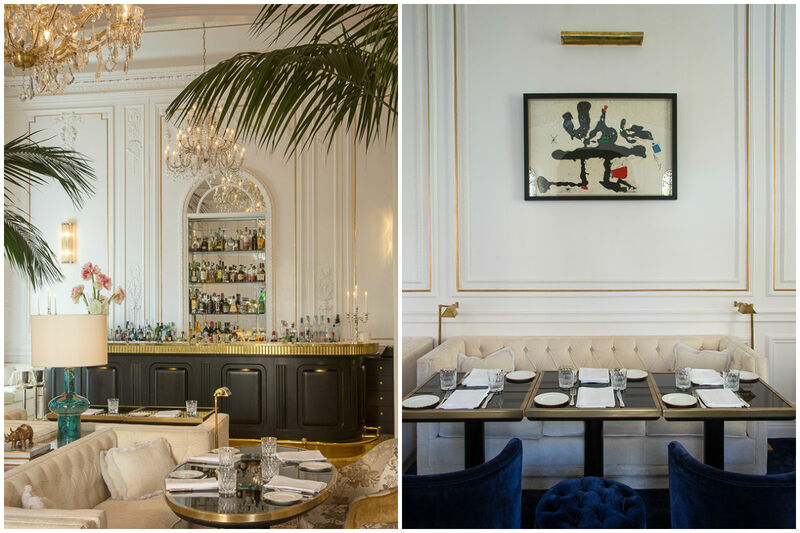 As does the clubby L'Autre Dame bar, which is decorated with lithographs by Andy Warhol and Picasso and serves some of the meanest aperitivos in town. 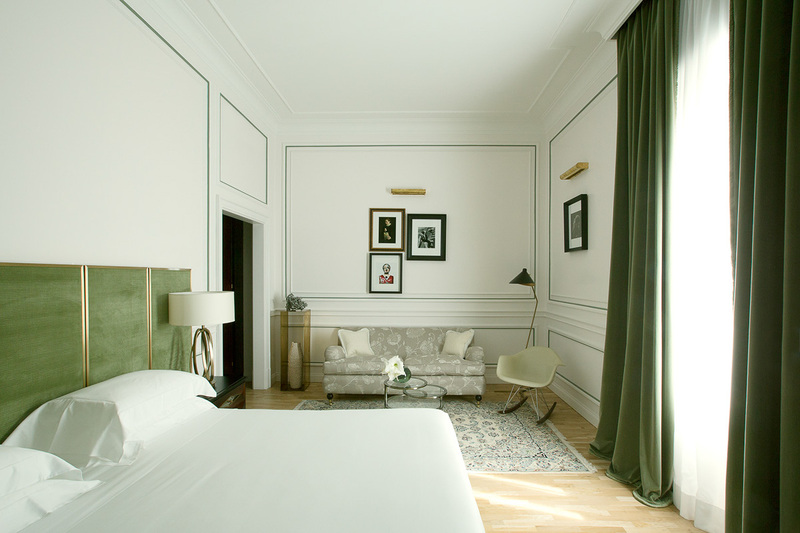 Lush, cozy interiors in a junior suite. Try out the unforgettable brunch and breakfast options at the restaurant and bar. On the food front, you'll be spoiled for choice in this area of town. 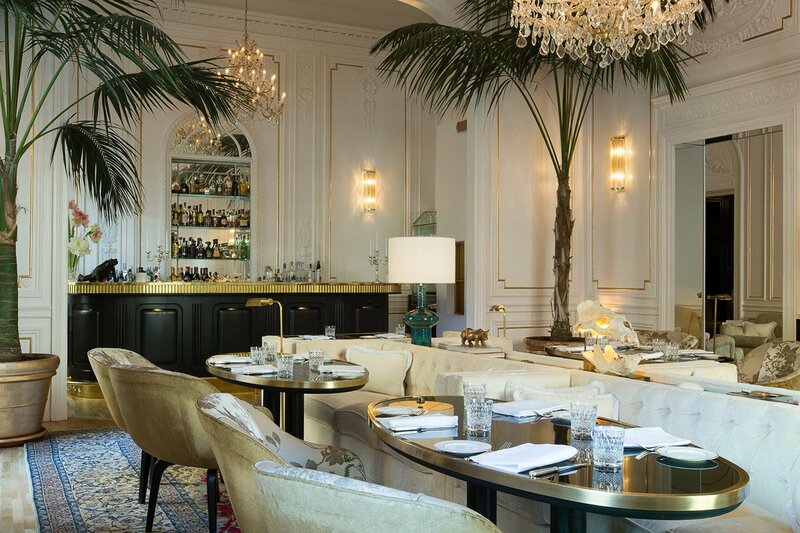 You can do no better than a dimly lit dinner at the hotel's L'Autre Dame. For something a bit less formal, try Da Bolognese or Rosati (Piazza del Popolo, 5a), both frequented by well-heeled tourists — but I love them anyway for solid pastas and waiters in crisp, white jackets. 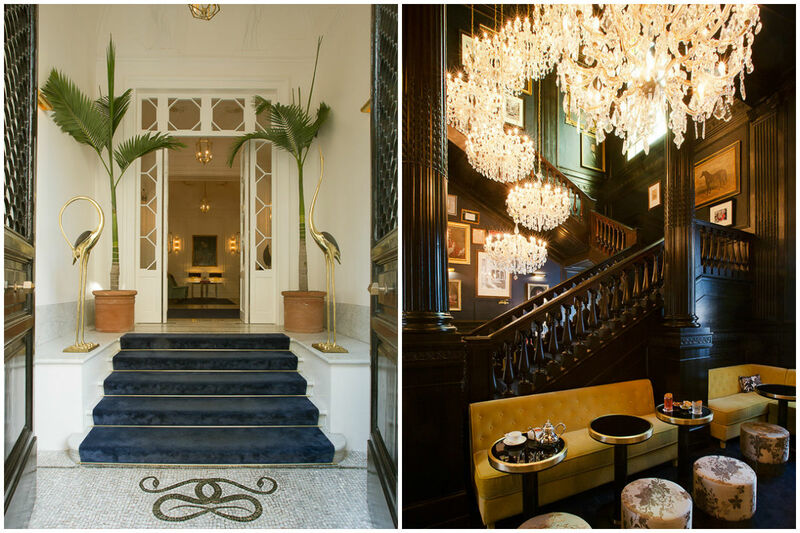 Best of all, however, might be drinks at the elegant Hotel Locarno. Be sure to ask for seating in the magical garden. A drink or a light lunch in the Hotel de Russie garden just around the corner runs a very close second. Suite view of Roman architecture and blue skies.